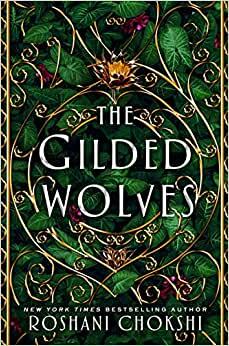 Start reading The Gilded Wolves on your Kindle in under a minute. I adored each and every character in this story. The plot was unnecessarily convoluted at times, and some of the 'stage managing' had me very confused (who was walking behind whom? ), but still an enjoyable journey. I'd be happy enough if the entire next book was just about Zofia, although I loved them all. Great read, beautiful imaginative world created in Old time Paris. Love all the characters too. Would love for the Audible to be available in Australia, it would be a fun audiobook. Absolutely LOVED this story. Gave me such Six of Crows vibes. If you are a Leigh Bardugo fan than you will love this book. 5.0 out of 5 starsHeists, banter, lovable characters—it's all there. Even better, the characters in this story are some of the best I’ve ever met. They are all incredibly complex and real, and you’d be hard pressed to dislike any of them because they all have such lovable quirks and bits of their personalities. I never get tired of a good “squad” and this little gang of misfits has to be one of my new favorites! Oh, and there is a romance in this book that has some of the best romantic tension I have EVER read in YA (without ever being even remotely explicit). Let's cut to the chase. This novel has three issues: the pacing is awkward because of the random infodumps that didn't give us the information we needed, more infodumpiness was needed to introduce us to the relationships between the characters (see other comments about us being dumped into a second book instead of a first), and the characters felt like impressions of other book characters rather than constructs of real people. Pros: Prose, lush setting, eventual character development, twists. On second thought, I'm bumping this one up to four stars. The diverse cast was at least interesting enough for the sequel. If I want to read the sequel, I should at least rate it four stars for overall impression.